Hard work in the classroom should never go unrecognized! Scholastic Medallions are a perfect choice when the budget is small and the expectations are high. 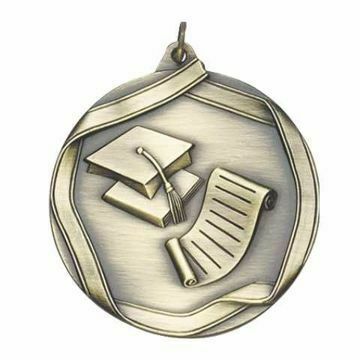 All Scholastic Medals come in gold, silver or bronze - include engraving and choice of custom neck ribbon color.